House Cleaning in Delray Beach – Posh Homes can handle all your house cleaning Delray Beach needs. What type of services can you expect from Posh Homes? We offer complete house cleaning packages, along with window cleaning, vacuuming, stain removal, carpet cleaning, and other cleaning services that you can use to keep your house in top shape. 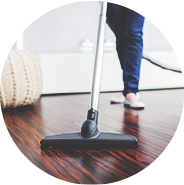 Whenever you need Delray Beach house cleaning , we are ready to help. At Posh Homes, we have a team of trusted house cleaners with years of experience. 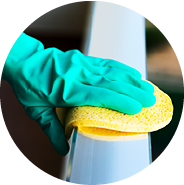 We perform thorough background checks and give expert training to our new employees to ensure your home receives superior cleaning services. If you want the best, then contact us at Posh Homes today. There are numerous advantages to hiring House Cleaning in Delray Beach services. Though, the greatest advantage is simplifying your life. When you have a busy schedule, you may not have time to handle regular household cleaning. It is easy to let regular cleaning tasks slide. It can also be stressful to try and keep up with your home when you have other commitments. By hiring house cleaning services, you free up your time and remove the worry of dealing with a messy home. Allow experienced cleaners to maintain order and ensure you get to come home to a clean house at the end of a long day of work. When you simplify your life by hiring cleaning services, you will have more time to spend with your family or to deal with other commitments. Our team knows what it takes to keep luxury estates looking and feeling their best. We pay attention to the smallest detail ensuring that you will be pleased with the end result. We know that every home and homeowner has their own unique style and we will keep it that way! We offer window and door cleaning with competitive rates. This service will change the way you see your house and surroundings! Posh Home will make your home more inviting, bright and cheery with our unique streak/spot free reverse osmosis technology. Posh Home offers personalized solutions for each area of your home. 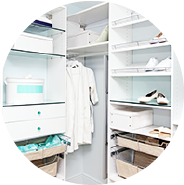 From folding and storing clothing to organization of closets by colors and seasons, we can simplify your life. We also handle other areas of your home such as kitchens, office spaces and garages. Posh Home can serve any of your post-construction cleaning needs. We are trained to handle the toughest situations, providing you with results and peace of mind. We are tough on dirt! Going on a trip? Let us take care of things while youre gone. 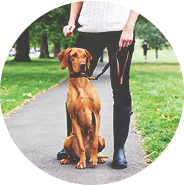 Walking the dog, feeding the fish, and forwarding mail and packages are just a few of the various services that we offer. Have a specific need? Contact us today and well be happy to help. No job is too big or too small. We have insured professionals that can help you with any of your tasks in the household. From fixing gutters to hanging paintings on your wall, we have all your needs covered! 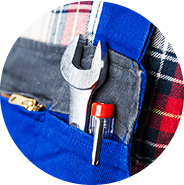 Posh Home handyman services can save you time, money, and hassle. 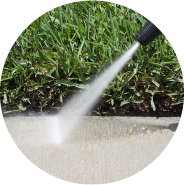 Posh Home offers professional power washing for a cleaner and brighter exterior. Whether it be your driveway, house or other structures, we can handle it. Your neighbors will envy you! Whether you just bought a house and want it clean prior to the moving day or you are moving out of the old one and wan to make it spotless for the new tenants, we are the solution! When it comes to preparing a space for a new tenant or for new use, Posh Home has done this countless times for our clients and well do it for you.